KARACHI :�Private equity is poised to take off in Pakistan, with contrarian investors betting that the country is endowed with far greater potential than news reports chronicling Taliban bombings, the war in neighbouring Afghanistan or an evolving democracy�s frequent bouts of political drama might imply. Ahmed and his collaborator Isfandiyar Shaheen, 30, are at the vanguard. As co-managers of Cyan Capital, a $50 million private equity fund set up by the Dawood Hercules Group, one of Pakistan�s biggest conglomerates, they must prove that they can find finance-starved companies ready for rapid expansion. But the risk-hungry duo have now forsaken budding careers in the United States financial industry in the belief that somewhere in Pakistan�s ranks of unglamorous, overlooked family businesses lie hidden the seeds of future corporate giants. The theory is that an injection of capital and management savvy will turbo-charge the best of Pakistan�s family-run enterprises, creating jobs for a restive, youthful population and lucrative returns for the funds when they sell their stakes. Cyan�s confidence in Pakistan�s prospects stems in part from the sheer size of the market in a country of 180 million people, where many conservatively run companies have shied away from scaling up their businesses into nationwide operations. Companies listed on the Karachi Stock Exchange have grown their profits by at least 13-15% annually since 2009, according to one market analyst. With 49% returns in 2012, the market was among the world�s top performers. But to make their bet pay, Ahmed and Shaheen will have to be diplomats as well as financial engineers, persuading patriarchal heads of family-owned businesses to embrace an alien investment concept touted by upstarts half their age. Shaheen and Ahmed spend much of their time explaining how private equity works to owners who might be fearsome entrepreneurs, but innately wary of exposing their clannish, cash-in-hand operations to the young men�s new-fangled ideas. Given the difficulty many small or medium-sized companies have in securing affordable bank loans in Pakistan, the new crop of funds believe there should be plenty of demand for their finance, provided firms are open-minded enough to listen. JS Private Equity says predominantly negative perceptions of Pakistan favour investors bold enough to plunge into one of the last, big unexplored frontiers for private equity deals. �People get a very slanted view of Pakistan internationally, which is why we get this very advantageous risk-reward trade-off,� said Steve Smith, a partner at the fund. 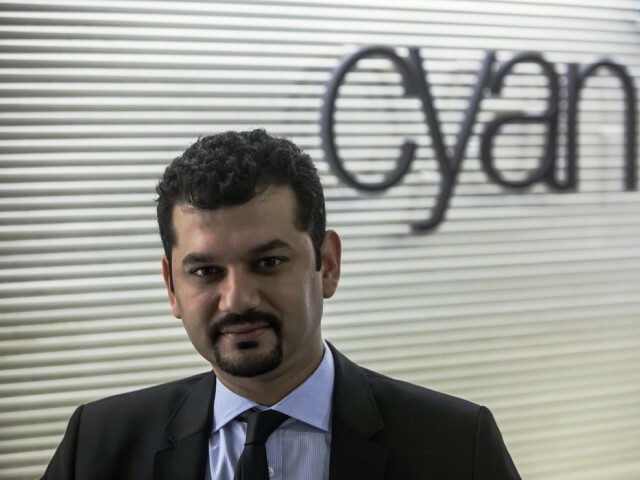 Cyan�s Ahmed left Pakistan at 19 to attend college in the United States, where he would join Goldman Sachs and later the International Finance Corporation, the private-sector arm of the World Bank. He says five years sealing IFC private equity deals in Asia and Africa was ideal preparation for his new mission in Pakistan � though not for his first day at�work. In the next few months, the pair is hoping to make Cyan�s first private equity investment, saying they have 10 to 15 potential deals in their pipeline that could soak up a combined equity capital of more than $200 million.